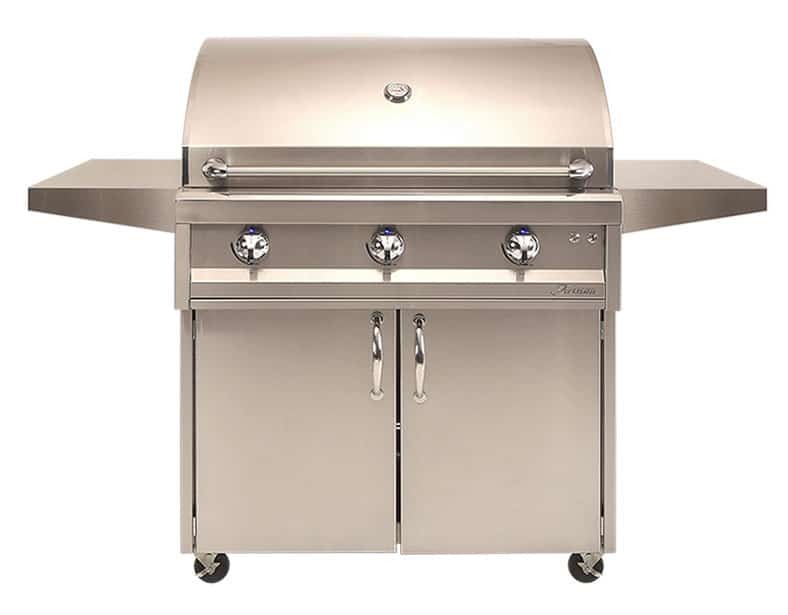 With materials and construction, functional design and meticulous craftsmanship surpassed by none, Artisan Professional Grills are tough enough to withstand the rigors of living outdoors. 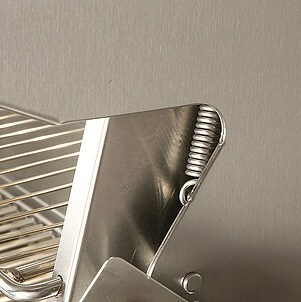 Heavy-duty 304 18-8 stainless burners create evenly distributed extreme high heat to the cooking surface. 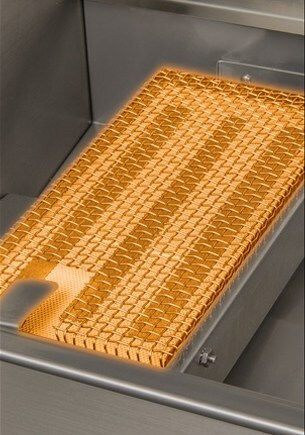 Optional interchangeable infrared burner. 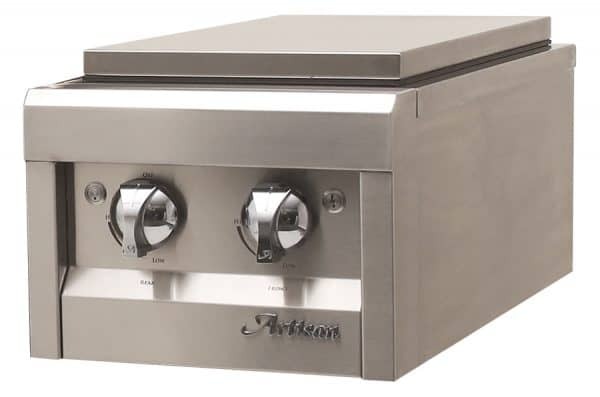 20,000 BTU infrared burner 100% combusting ceramic surface for intense even heat and authentic steakhouse results. 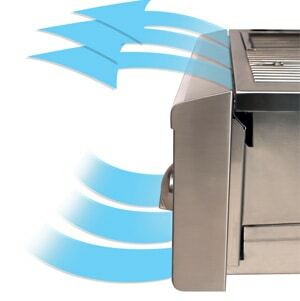 Cooks 50% faster with virtually no flare-ups. 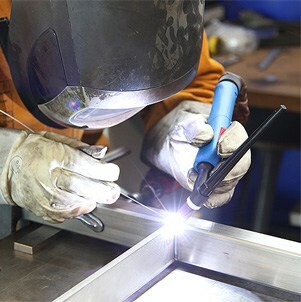 All of our products made from commercial-grade 304, 18-8 stainless steel. 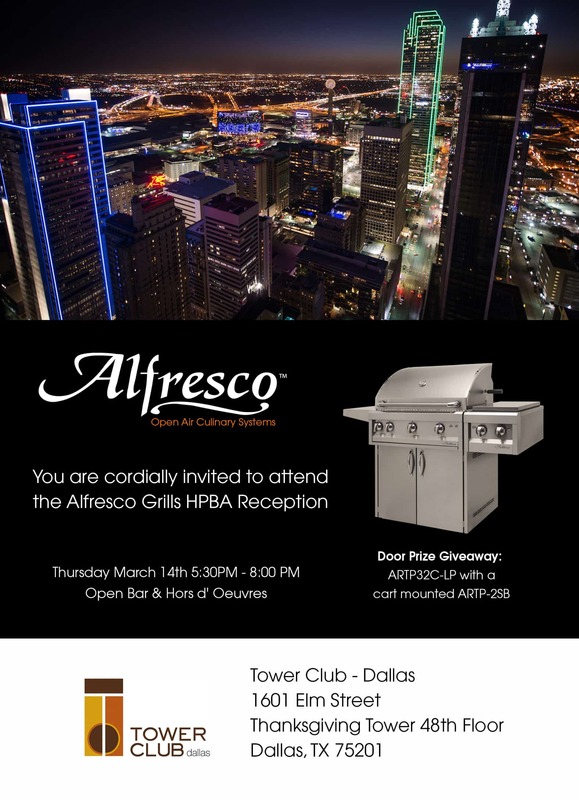 Durable heli-arc hand-welded seams with no mechanical fasteners. 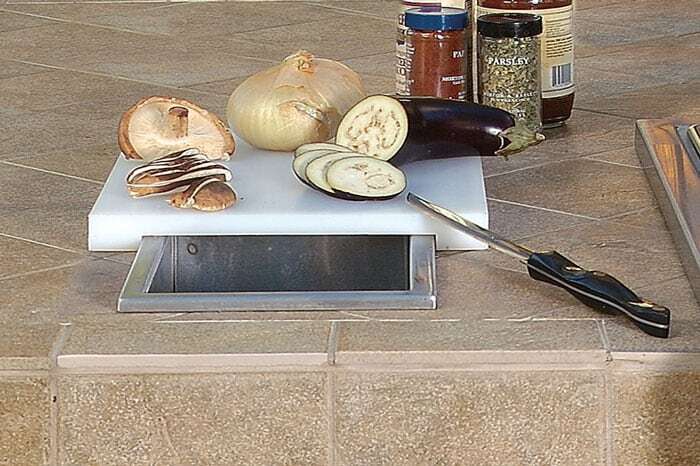 A special pyramid shape with a flat top and heat-holding cavity on underside delivers intense even heat to the cooking surface. 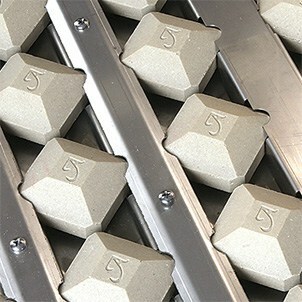 Radiant tray locks briquettes in place. 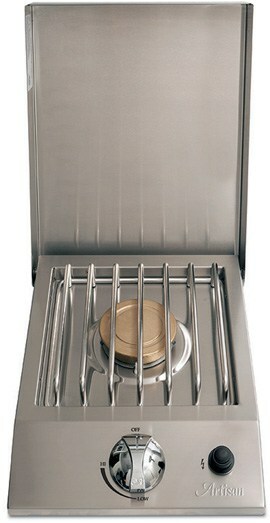 Turn tray over and fire burners on high with lid closed to self-clean. 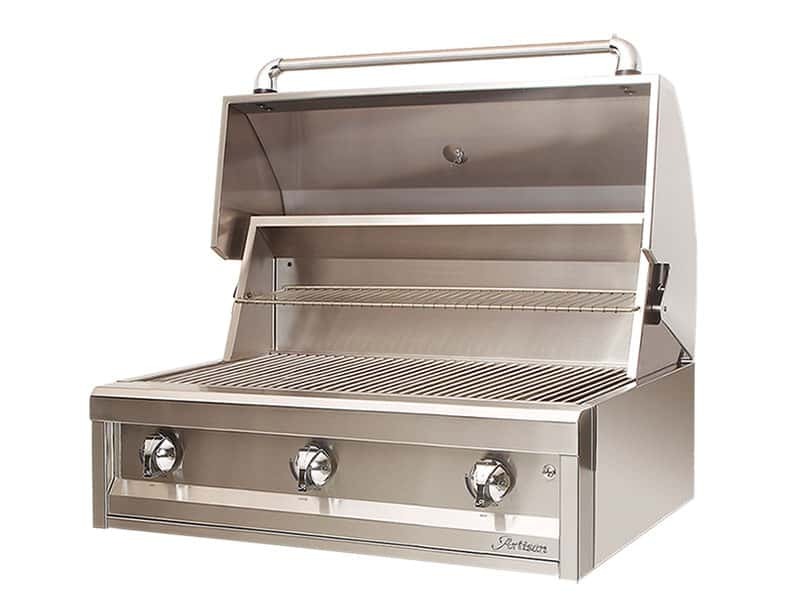 Heavy-duty stainless steel cooking grates with a special non-stick nonstick electro-polished finish are positioned over briquette and "U" burner sections. 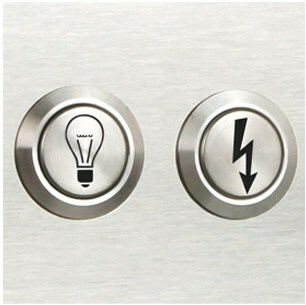 with precision touch in mind. 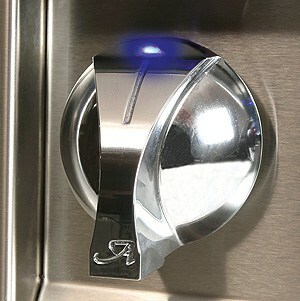 Stainless steel push-buttons for ignition and lighting are ergonomically integrated into the front control panel. 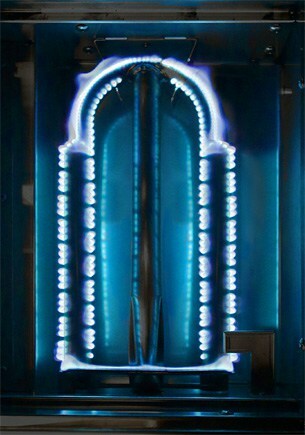 A special air-cooling plenum blasts a curtain of cool air that naturally flows up between the front control panel and firebox keeping front panel and bull-nose safely cool to the touch. This also protects all the electronics. 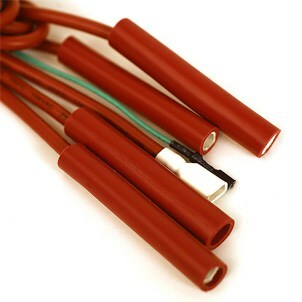 Electrical wires are each encapsulated their full length with a 600º heat-resistance silicone sleeve, and all-electric connectors are protected with a shielding boot made from the same heat-resistant silicone. 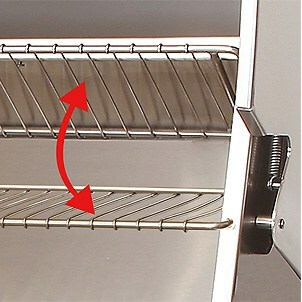 Made from solid stainless-steel rod for long life and easy cleaning, Our two-position warming rack stores conveniently up and out of the way when not in use. 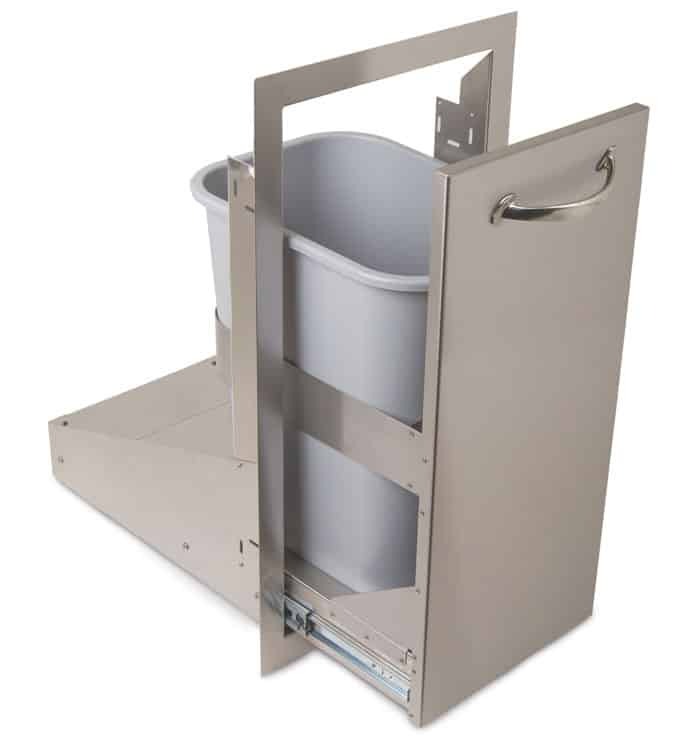 Unique integrated and hidden spiral torsion system made of non-corrosive stainless steel for many years of use. 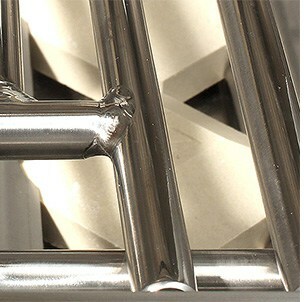 Handle spins smoothly in nickle-plated end caps for optimal comfort. 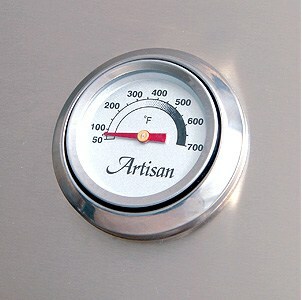 Standard on every Artisan grill, this convenient thermometer is built into the hood for accurate oven roasting temperatures.